We live in an era of miraculous scientific innovation; you might be reading these words on a computer, a phone, or a tablet. You may have grown up in this era of technology, with frequent promises of scientific progress as a part of daily life, or you may have witnessed the birth of a technophilic culture. Either way, whenever you become injured or ill, there is a tech-equipped, scientifically enhanced, beautifully futuristic world of medicine waiting to greet you. We can see the magnetically resonating nuclei of your body’s atoms on a screen. We can isolate and assess the components of your blood. We can give you new, functional organs, or take your malfunctioning ones away. We can kill or grow different types of cells with ever-increasing ability. We can read your DNA, and tailor your healthcare to our findings. Everyone ought to be impressed. So, why do we find ourselves confronted by those who renounce the system? We’re all aware of practitioners of alternative medicine, or conspiracy theorists like the “anti-vaxxers.” They spread a dangerous strain of anti-intellectualism, and their efforts are rewarded by outbreaks of previously obsolete diseases (and preventable deaths). Given the real damage they cause, we can’t simply write these groups off. We need to analyze and fully understand their methods. This probably isn’t the kind of meme that you’re used to seeing- it isn’t funny or cute- and you’d probably ignore or dismiss its message. It makes a ridiculous claim, doesn’t cite any sources for its text or imagery, and is easily scrolled past on social media. Yet, this meme was shared hundreds of times, indicating that it was not so quickly dismissed by the target audience. This scenario is common. Similar images promoting distrust in western medicine spread constantly in great volume. Why does this matter? Should the medical community be concerned by conspiratorial memes? Aren’t memes just a silly fad on the internet? After all, they do so little to argue for the statements they make. It is precisely the simplicity and lack of critical thought behind memes expressing distrust in modern medicine that make them problematic. You’re not meant to question or interpret memes; you simply “like and share,” or move on. But imagine that for whatever reason, you harbor a grudge against western medicine, the pharmaceutical industry, or mandatory vaccinations. Memes like the one to the left would confirm your sentiments. You might even share this meme among like-minded friends, strengthening their existing bias. If you presented this meme to someone with a neutral stance on western medicine, you could end up sowing deep-seated seeds of doubt - seeds that grow into a potentially life-long inclination to avoid life-saving medical practices. Some online activists have taken a pragmatic approach to fighting back. Circulating alongside anti-intellectual, science-denying memes are similarly designed memes spreading an opposite message. For instance, many people share links to the website http://howdovaccinescauseautism.com. If you click the link, you will find the site’s pithy declaration that “They [Expletive] Don’t.” Less bluntly, pages like “IFLScience” frequently post articles debunking conspiracy theories. These posts appear on newsfeeds as a single picture above a sentence of text, obeying classic meme formatting. Social media campaigns supporting scientific, critical, educated thought probably do help to counteract trends of anti-intellectualism in our country. Unfortunately, these efforts rely on similarly dubious means of propagation. Pro-science memes are easily dismissed or scrolled past. 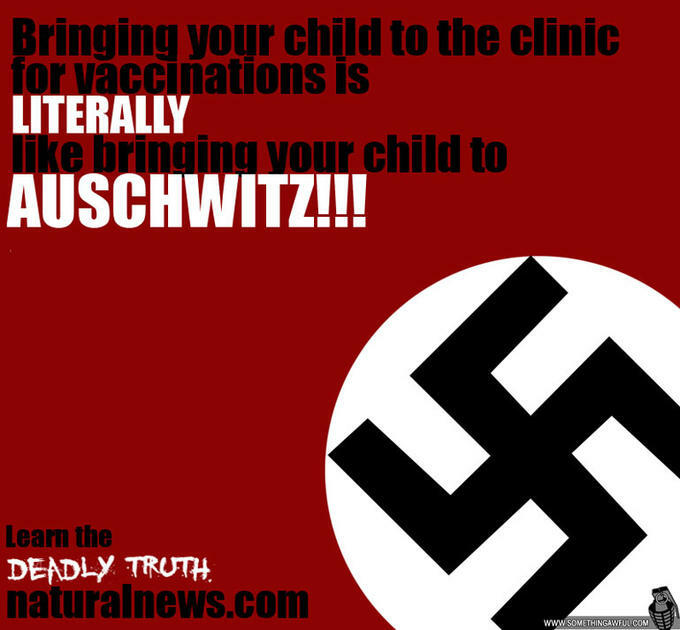 People who think vaccines cause autism are unlikely to be swayed by visiting http://howdovaccinescauseautism.com. People who doubt the capabilities of western medicine aren’t scrolling through IFLScience’s articles on new medical advances. Climate change deniers aren’t thoughtfully reading Bill Nye’s tweets. So if memes simply strengthen existing biases, should we care that they circulate all over social media? Should we bother to oppose such deliberate misinformation? Why must we strive to inspire trust in systems that are already empirically demonstrated to save lives? The answer may be that, despite its miraculous feats, modern medicine has some shameful history. Physicians, policy makers, insurers, and vendors of our medical system have often hurt the populace they swore to serve. This tendency is made painfully clear by historical travesties like compulsory sterilizations and the Tuskegee Syphilis Experiment, and contemporary reminders like Martin Shkreli, or the overdose epidemic caused by inappropriate prescription of opiates. For many of us, medicine’s terrible history remains far removed from our daily lives, and the bad news about pharmaceutical or medical malpractice goes away when we turn off the T.V. If you haven’t personally been wronged by the system, or don’t know enough people who have, it’s easy to appreciate the medical marvels of the modern era. But for America’s marginalized communities and disenfranchised citizens, the grievances born from our system are not easily ignored. Jamie Bloom is a medical student in the Sidney Kimmel Medical College Class of 2019.